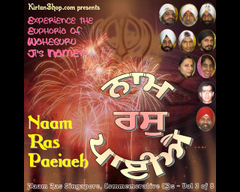 Professional Recordings of Kirtan with a perfect mix of the East and West. 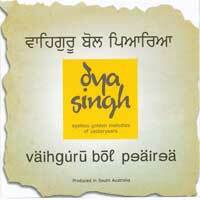 Featuring Kathas in Punjabi and English too. Wonder vocals by both lead and chorus singers. Mix of traditional Indian and Modern Western Instruments. 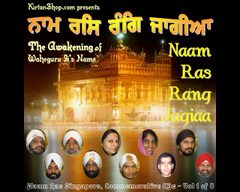 Lots of Simran embedded into the Kirtan to help You connect to God. 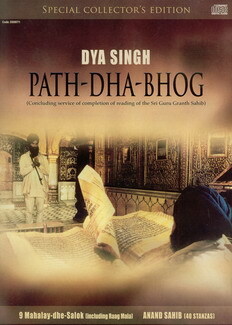 A must buy collection for all Kirtan Lovers. Get the full Volume now. Peace, poise and bliss are found in the subtle essence of the Naam. 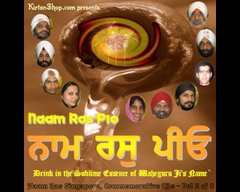 Taste the sublime essence of the Name of Waheguru Ji, Har, Har. 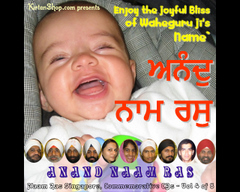 The Ambrosial Nectar of the Name of Waheguru Ji, Har, Har, is sweet. Bhai Balvinder Singh Ji, Bhai Kamal Singh Ji, Bhai Harminder Pal Singh Ji.